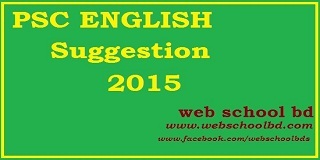 Dear Students,How are you?hope that you are well.I am Sirajum Kaspia Lecturer of English at WEB SCHOOL BD.Anyway the PEC-2015 exam will held Tomorrow.you have not enough time so yo should follow a short cut suggestion to pass in the exam very well.Here i give you a English Suggestion Which is very important for you. i. Write the words, sentences correctly so that they make sense. 2. Write the words, sentences correctly so that they make sense. 3. Write the words, sentences correctly so that they make sense. 4. Write the words, sentences correctly so that they make sense. 5. Write the words, sentences correctly so that they make sense. 6. Write the words, sentences correctly so that they make sense.